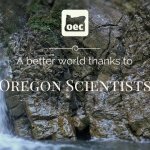 Oregon Environmental Council (OEC) has earned Charity Navigator’s coveted 4-star rating for demonstrating strong financial health and a commitment to accountability and transparency. This is Charity Navigator’s highest possible rating and indicates that OEC adheres to sector best practices and executes its mission in a financially efficient way. Charity Navigator calls itself “America’s largest charity evaluator,” and its tools and analyses are robust. The intent of their work is to provide donors like you with essential information to give you greater confidence in both the charitable decision you make and the nonprofit sector. Attaining a 4-star rating verifies that OEC exceeds industry standards and outperforms most nonprofits in our area of work. Only 23% of the nonprofits Charity Navigator evaluates have received at least 3 consecutive 4-star evaluations, indicating that OEC outperforms most other nonprofits in America. Our high rating means your dollars are used efficiently and effectively. “This exceptional designation from Charity Navigator sets OEC apart from its peers and demonstrates to the public its trustworthiness. The nonprofit sector is advancing and expanding. As our organizations evolve, so do the desires and interests of our supporters. Astute donors are yearning for greater accountability, transparency, and for concrete results from us. 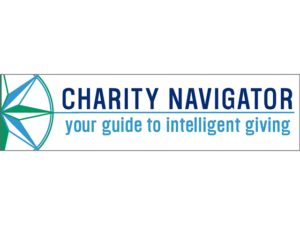 With more than 1.5 million American charities, Charity Navigator aims to accentuate the work of efficient and transparent organizations,” said Charity Navigator in its ratings communication to OEC. No Replies to "Oregon Environmental Council earns 4-star rating on Charity Navigator"